Justin Mallia is an award-winning, design focused architect involved with built projects and theoretical works, research, teaching and writing. The studio is based in Australia and Italy, operating in cross disciplinary collaboration with a broad network including architects, designers, researchers and artists. This enables the capacity to undertake both small and large scale projects of diverse scope, including works of architecture, interior design, urban design, lighting and furniture. The practice has a strong interest in the urban scale, measured with consideration for the small, detailed and humble in architecture. An interest in the importance of quiet but careful gestures derives from the craft and making aspects of architecture, the expression of the structure and workmanship in a finished project, and a creative connectedness of design and construction. This sits comfortably with an interest in affordability and accessibility of good design - that thoughtfully designed objects or buildings do not have to be expensive. 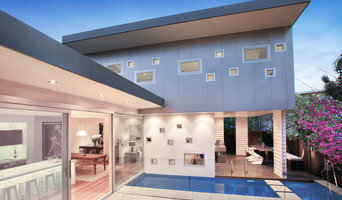 S2 design is an award winning architectural practice established since 2001. We have extensive experience in a range of projects including residential, commercial, interiors, cafe, urban, furniture and landscape design. Our practice draws from over fifty years of combined architectural experience. David M. Saunders, director and founder, has accepted private commissions since 1994. We have gained a reputation for our planning skills and creating elegant and unique design solutions. The quality of our work is reflected by long term relationships with repeat clientele. 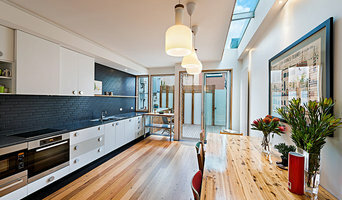 Chadwick Architects in Melbourne are specialists in custom residential homes, renovations and additions and believe your home should enable you to live the life that you and your family deserve. The experienced team at Chadwick Architects can help you evaluate design options and help you make decisions for your project that will let you achieve your goals whilst maximising the value from your investment in your property or site. 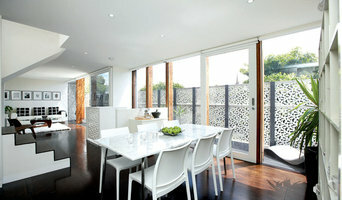 We reveal to our clients the spaces that were meant to be, shaped by the unique characteristics of each site and brief. 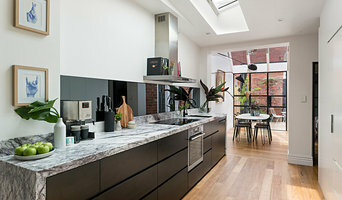 Bower Architecture is a Melbourne architecture and interior design practice formed in 2005 by Architect Directors Chema Bould, Anna Dutton and Jade Vidal. We strive to create timeless places that are loved by our clients and those who experience them. We maximise every opportunity, revealing smart, memorable spaces that inspire, challenge, engage and excite. We share our knowledge and joy for uncovering enduring spaces and interiors within which we live and work. We are disciplined in our thinking. Our architecture sits outside of fashion and is grounded in a collective view that the best and most sustainable design is that which is built to last and be celebrated for decades to come. Wilson Architecture is a Melbourne based multidisciplinary practice that provides bespoke spatial solutions that integrate architecture, interior, landscape and sustainable design. We do not peddle a particular in-house style nor are we confined to one genre. Rather, we relish the cross pollination of ideas and thrive on turning our clients’ perceived problems into unique creative solutions. We draw inspiration from the nuances of each project: the client’s identity, their specific needs & aspirations and the built & natural environment surrounding the site. Wilson Architecture has A+ membership with the Australian Institute of Architects – its highest membership model – whereby all architectural staff have full access to the institutes resources as well as participating in mandatory professional development.